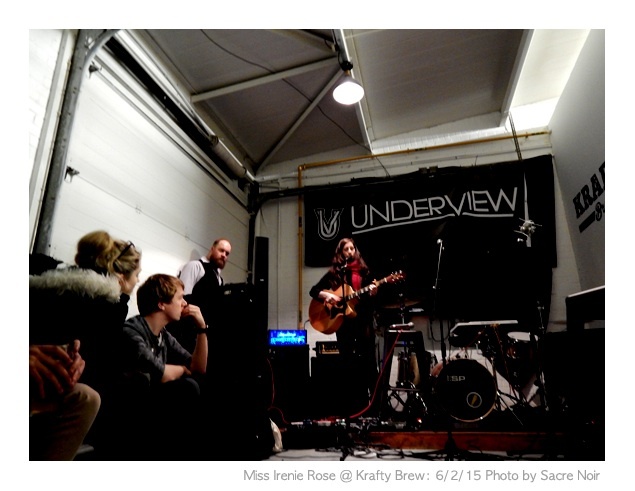 Friday 6th February saw the first live show for Sacre Noir of 2015. The last few months have been spent focusing on writing and arranging new material, so when Charly Houston got in touch to see if we were able to support a visiting London-based band we figured fate had dealt it’s card. 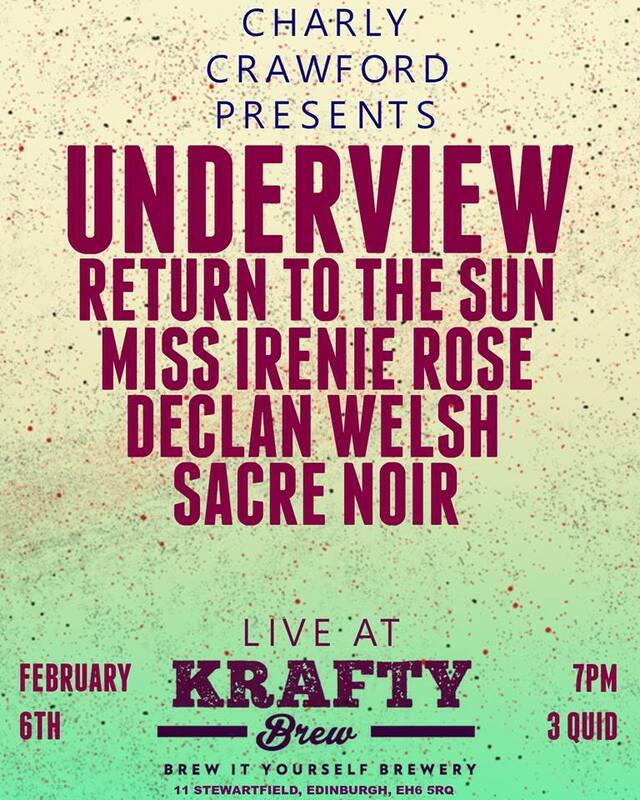 The gig was held at Krafty Brew in Edinburgh (which I hadn’t heard of before this gig) and was a 4 act line up featuring a mixed bunch of styles including Underview who had come up to Scotland for the weekend to do some recording / gigging. Everyone brought their own original sounds to the show, and it was more like a great house party than a gig in a typical venue! 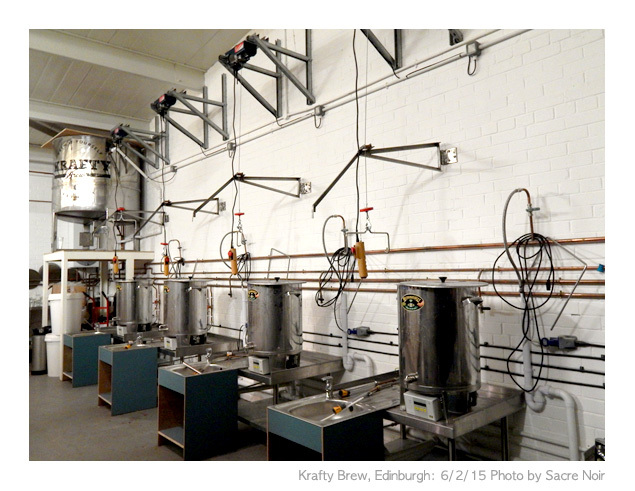 Krafty Brew is situated in an urban industrial estate in north Edinburgh and has only been open for 5 months, but already has hosted a bunch of great events (including an impromptu Gomez set), and is definitely not going to remain a “nice little secret” for too much longer. The beer and cider are brewed on the premises and the general vibe is very laid back. First up was the very talented singer/songwriter Miss Irenie Rose; she hails from the Isle of Lewis and has a truly beautiful vocal tone. Her set was mainly made up of original guitar/vocal numbers peppered with random stories about ‘Irish brothers’ and ‘hairy kippers’ (très amusant), but there was also a couple of loop-pedal based tracks which showed of her voice perfectly. Her music reminded me of Jewel Kilcher (songs circa 1995), where the lyrics paint a picture you could almost see and hear if you closed your eyes and listen closely. 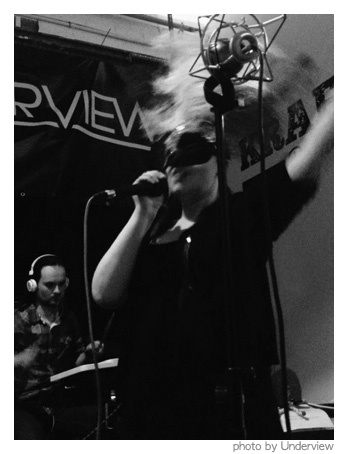 We played next in a re-arranged schedule and in our set we played the three singles from Sinking Into Darkness (She Can’t Take It, Rue Crimeé & It’s Too Late Now), six new / unreleased tracks (some of which have yet to be named) plus a cover of the Leftfield track ‘Open Up’. We were all pretty surprised how well the new tracks fitted into the live arena and despite still needing a little refinement here and there, it was a pretty successful 1st run. Next up was Declan Welsh a singer/songwriter from Glasgow who had a full band with him for this show. A really fun, sing-a-long set of tracks in an indie style (Arctic Monkeys was my first thought) and a great support match for the touring band Underview. 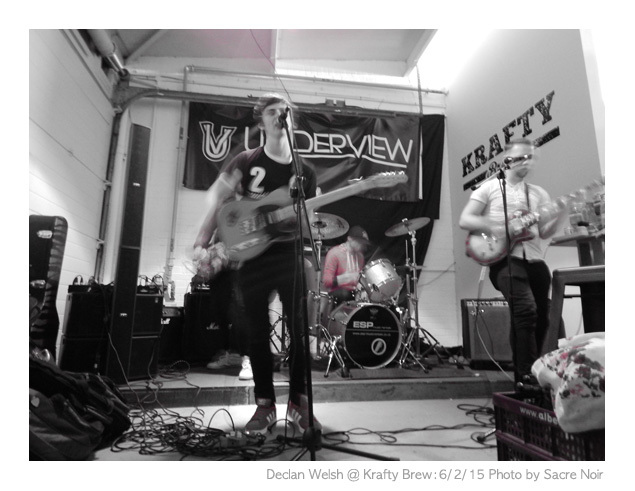 They had a similar style and influences, Underview even did a cover of the Arctic Monkeys ‘Mardy Bum’ – they should definitely play shows together again in the future. 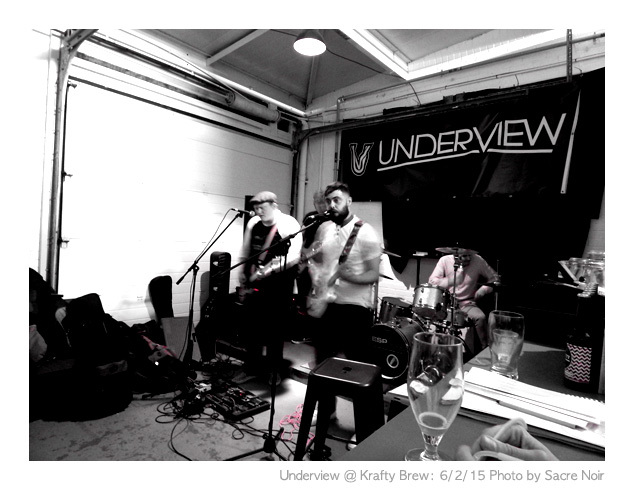 The final band of the evening was Underview who are a 4 piece Indie Rock band based in Hemel Hempstead. They covered a mixture of genres during their set including a few numbers with a ska-tint and these were the ones I liked the most. They were full of energy from the first note to the last regardless of the specific style and I had a great time dancing along to all their tunes. A big thanks to everyone involved in the night; the acts for the great tunes, the venue and manager for the use of his great space, Charly Houston music for inviting us along to play and to Neil (Keep It Creative) for the sound advice on the night! Special thanks to friends, old and new, who came along to support live music – always lovely to see such friendly faces.